Filesharing has been and continues to be a major part of the internet. The most popular method of filesharing is via BitTorrent or swarm P2P where users upload as they download. As a result of the internet and filesharing, there have been a number of changes to the market on both the producer's side and the consumer's side. Just as new technology reduces the profitability of old technology, it brings new avenues of profit such as through subscription services. However, there are many legal issues that face companies that embrace filesharing and as such, Vodafone must carefully consider how it should approach the market or if it even should. File sharing is one of the major components of internet usage and accounts for a very significant proportion of internet traffic. A regional survey by German company Ipoque found that between 30 to 70% of internet traffic is filesharing. 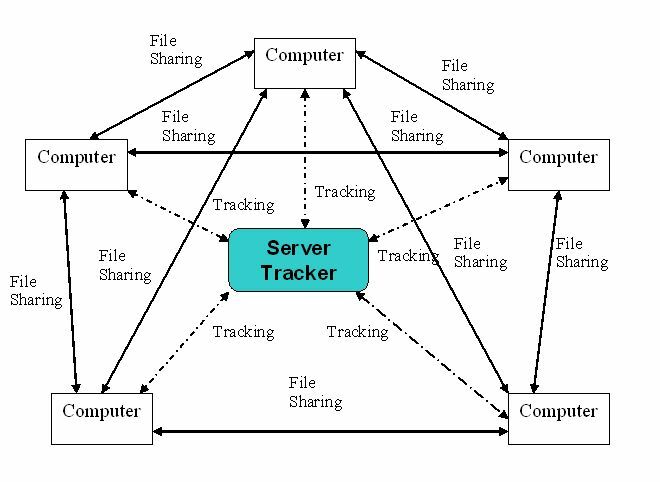 Filesharing is simply a term describing the action of internet users sending files to each other. For example, sending a picture to your friends in an e-mail is filesharing. In most cases when the media talks about filesharing they are usually referring to Peer-to-Peer filesharing (P2P) or BitTorrent filesharing. Each of these methods will be covered in detail. 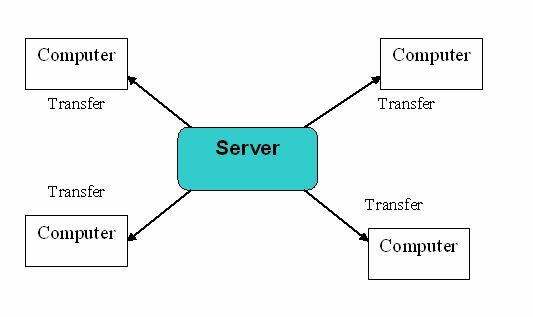 File Transfer Protocol (or FTP) is the standard way that most users and computers connect to get files. FTP is widely used on both the internet and intranet. 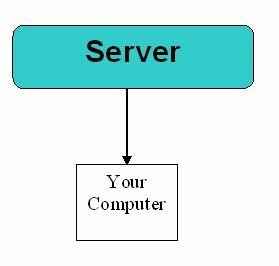 The computer server storing the files is called a 'host' and it 'hosts' files. 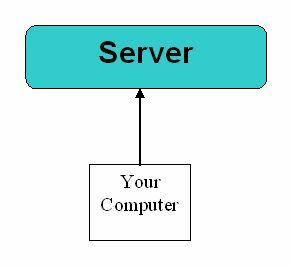 Your computer asks the computer server for files or information. The requested files and information are sent to you. You tell the computer server you wish to transfer information. 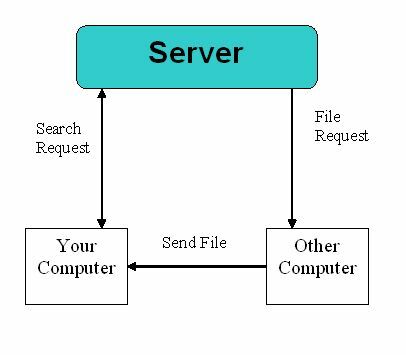 The requested files and information are sent to the server. 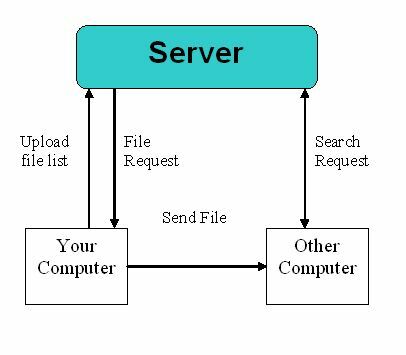 People can now request files and information from the server. Most common way of sending files. Minimal file corruption as there is only one source. Too many files being sent slows speed. Easy to shut down or attack. Antelope Valley College - An simple but good overview of FTP. NcFTP Software - A technical in-depth explanation of what FTP is. Peer-to-Peer (P2P) is a system popularised by Kazaa and Napster. People download a P2P program that connects to a server. Rather than hosting files, servers are used instead as a listing host. The listing host lists files on other P2P users computers. The servers act like search engines and locate files for you on other computers. Fast computers can also become servers in themselves reducing the risk of the entire server network going down. central computer, you download files from other users. You run the P2P program. You get the search result. You choose and request from the computer the file or files you want to download. The computer that the file or files is on transfers the file to you. You tell the P2P program what files you want to share. The P2P program uploads that list to the server. Your computer will send the file when people request the file. Kazaa - An extremely popular P2P program created and maintained by Sharman Networks. Unfortunately, it contains adware and spyware despite claiming otherwise. Emule - Another popular P2P program that is connected to the Edonkey filesharing network as well as the Kazaa filesharing network. Edonkey has a decentralised server system and is supported by users and donations. Emule itself is also supported by the community and does not contain adware or spyware. As the server network is decentralised it is slower than Kazaa when it comes to searching for files. iMesh - A popular music sharing P2P program. The iMesh program acts as a music player and cd burner program as well. The iMesh program now allows users to create social networking profiles. What you previously had to pay for is now free. Hard to shut down as numerous servers. Searching can be slow at times. Files may fool you into downloading viruses or trojans. You need to download a BitTorrent program such as utorrent and install it. Once installed, you can start downloading torrents. Torrents are files that contain the metadata of the file you want to download. Metadata contains information on the structure of the file that you want to download. This is to ensure that the data you are downloading is free from errors. Once you have downloaded the torrent, your computer is then 'announced' to the server. This notifies the server that you are trying to download the file. Servers in swarm P2P act as trackers keeping track of the users trying to download the file. It also keeps track of what parts of the file other users have. All the users trying to share the file are known as being part of the 'swarm'. Once your BitTorrent program connects to the server and knows what file parts each user has, your program will then start downloading parts of the file from other users. Rather than downloading from just one user like in P2P filesharing, you will be downloading from several users. 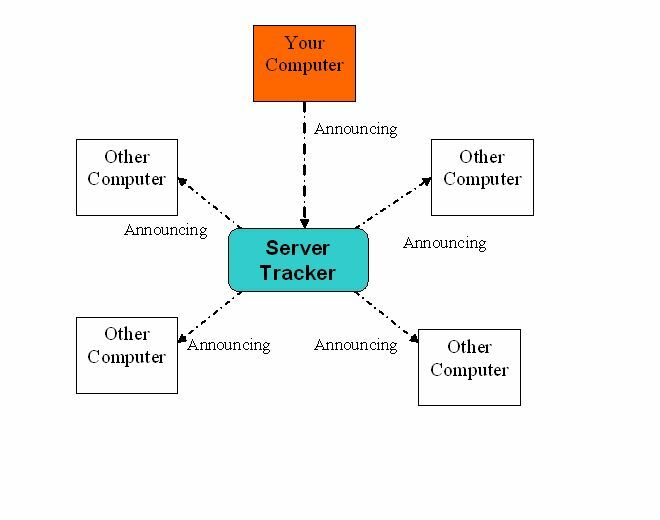 At the same time, the tracker will notify other users of the the parts of the files that you have downloaded. If you have parts of the file that other users need, your computer will upload it to someone who needs that part. Previously, the more users that connect to a host or filesharer, the slower the downloads. It's now the opposite. You want to have more users because you get a faster speed. The more users there are, the more likely someone else will have file portions you need and can send it to you. Once you are finished downloading the file, you become a 'seeder' as you now have 100% of the file and no longer need to download from other people. You now just upload bits of the file to others who need it. 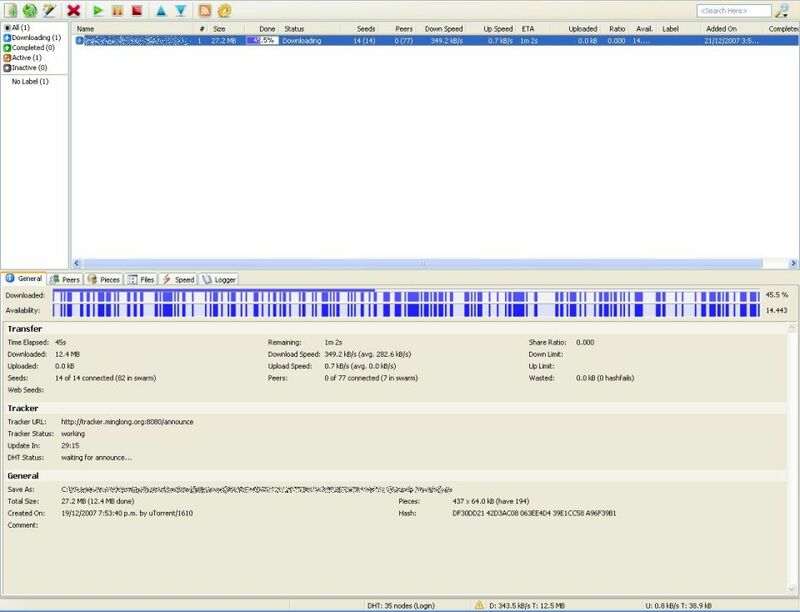 Your torrent program connects to the tracker and gives you information on the fileswarm. You download and simultaneously upload portions of the file. You create and upload a torrent to a tracker. Users download the torrent from you and each other. BitTorrent - The original BitTorrent program that started it all. Still very popular. Mininova - A popular torrent search engine for movies, music, cartoons, software and just about anything. 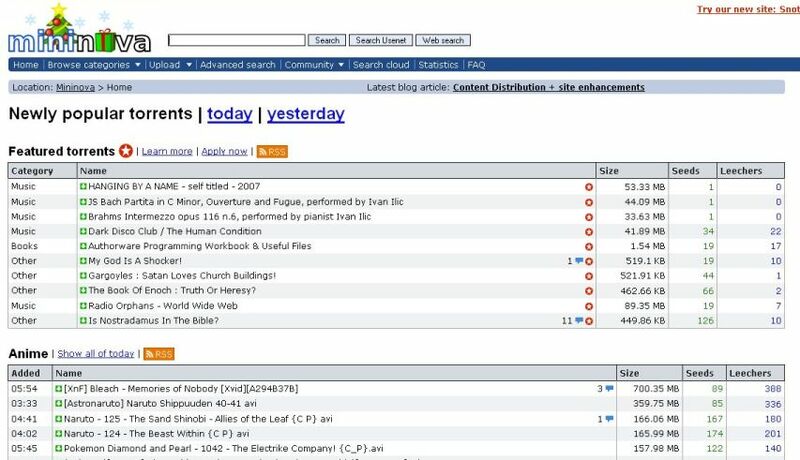 Isohunt - A torrent search engine focused around DVD's and CD's. Torrent Portal - Another torrent search engine for everything. Hard to shut down numerous servers. Data less likely to be corrupted. The more popular the file, the better the speed. Only popular files get high speeds. Less popular files are prone to lack speed or disappear altogether. Howstuffworks - How BitTorrent actually works. Whose Torrents Are They Anyway? - A good visual explanation of BitTorrent. This is the next level of BitTorrent that the creators of BitTorrent are trying to promote. BitTorrent DNA applies the BitTorrent concept to normal websurfing. 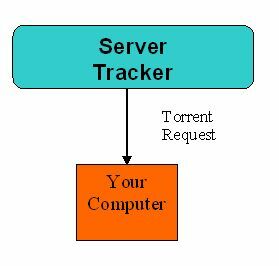 For sites such as Youtube which are media intensive, BitTorrent DNA is a way to reduce the network server by having the surfers of the site BitTorrent the media files to each other while surfing. With BitTorrent DNA however, the clip contents would be bittorrented between viewers thereby reducing the server data distribution load. BitTorrent DNA has yet to catch on as it was just recently introduced. However, like shockwave flash files (swf) or Adobe's portable document format (pdf), it is certainly a promising avenue particularly for data heavy sites such as Youtube to help reduce server load. I believe in the future even if Bittorrent DNA doesn't take off, the concept of swarm P2P for data intensive sites will be a more efficient way of allocating data on the internet. Here are examples of filesharing websites and programs. A lightweight program to be used with the Edonkey server network. Edonkey is a P2P network that is currently one of the largest P2P networks around next to the Kazaa network. An extremely popular lightweight torrent program that allows you to download torrents. A popular torrent site that allows you to search and torrent music, books, software, pictures and other kinds of files. Filesharing is like sending a photocopy. You could for example, photocopy a sheet of paper with handwritten notes and send it to all your friends. That is perfectly legal and what a photocopier is made for. However if you photocopy classified documents and then send the photocopies to all friends, that could be considered illegal. Similarly, the activity of filesharing itself is not illegal. For example, you could be sending a home made movie to all your friends via a filesharing program. That is legal. However, if you are sending a copy of a DVD movie you have just bought without permission from the publisher of the movie, then that makes it illegal. This is the reason why publishing companies discourage filesharing because although there are many legitimate uses of filesharing, more often then not filesharing is used for illegal purposes. The internet makes illegal sharing easier, faster and cheaper then ever before. Filesharing and piracy have always been around even back in the days of dial up internet. The legal action against Napster propelled filesharing into the public consciousness and media. Filesharing has come a long way since the initial popularity of Napster and now just about every young person has fileshared illegally at one time or another. As of now, filesharing is firmly embedded on the internet and will continue to occur. Because of the internet and because of filesharing there has been a fundamental change in the consumer market. 1) Cost of production and distribution have fallen dramatically. 2) Sharing and copying media is extremely easy. What we see therefore is a huge shift in consumer behaviour. As the quality and quantity of media on the internet and on your computer is now no longer noticeably different from what you can physically purchase at the store, more people are now filesharing and no longer want to pay for what they can get for free. On the flip side, there is a clear reluctance of publishers and the producers of the old media to embrace the new technology. However, in the same way that new technology reduces the profitability of old technology, new avenues to gain profit or reduce costs are opened up in the new technology. As an example, let's take a look at how the internet has changed supply and demand using music distribution on tapes as an example. There is no physical medium. The cost of distribution is the bandwidth cost and with BitTorrent the consumers themselves bear the cost of distribution. Storing online is way cheaper than paying for warehouse space. Illegal copying and distribution is very easy. A great deal of the costs and problems related to manufacturing and distributing tapes are reduced or eliminated while a whole different set of problems specific to the internet are created. Considering you can get something for free, why do consumers still bother paying for it? Generally speaking, it is about adding value to the product. There have been a number of ways in which companies have tried to profit from the new changes in the market. Below are a list of ways and how Vodafone can take advantage of this. Release encrypted content on the internet such as what Apple has done with their itunes store and require licenses to be purchased. Even if you share the file, the other user is still required to purchase a license that is unique to your computer. Vodafone and other companies are already doing this with ring tones, games and music on their mobile phones. For example, consumers pay a small subscription fee to download and use a ring tone on their mobile and the ring tone is only available on that phone. Release media on filesharing networks with a trial mode that allows a limited number of uses before the media locks up and prompts the user to buy it and unlock it properly. The cost of distribution reduced because the consumers themselves help share the file. This is the same idea as above except the user gets the benefit of trying before buying. In some ways this can be more useful for market research. The difference in the number of trial versions downloaded and the versions purchased can be a good indication of whether consumers really did find the product useful. Again, it is the consumer that bears part of the distribution cost. Release media into filesharing networks as a form of advertising but require users to view ads within the media itself. Having for example, a Vodafone logo in the corner of the screen to show that it is being sponsored by Vodafone or have built in ads inside the episode requiring you to watch them before continuing. Release media into filesharing networks for free but only release a portion of it. For example, releasing one episode of a TV series for free but the other episodes require payment for a license to view. This could be combined with the above so you have an ad-sponsored episode brought to you by Vodafone but have the rest require payment. Rather than paying for a license, you pay a cheap rental fee to a provider that allows you to download and access the media for a limited time or limited uses. The idea of this is very similar to say a video rental store where you can rent videos for a small fee or even purchase the video tapes. Movielink and BitTorrent are two companies already promoting this. This is no different from charging a fee for renting a ring tone on a mobile phone. Instead of paying to rent out one movie or album, users pay a monthly subscription fee to a provider and get access to the full range of music or movies every month. The current websites leading this are Yahoo Music Unlimited, Rhapsody and Napster. This is like having a library card and having full access to all the library books in the library or like renting a ring tone. If someone buys a file after you share it, you will receive a small 'referral fee' for it. As an example, let's say you have purchased a movie at a site similar to movielink and send the link to a friend using the same site. The friend then rents or purchases that movie. You can get a referral fee to be used with your next purchase or rental. Just like you can pick and choose Youtube videos, Vodafone could look at combining with a filesharing website and allow users to browse, bookmark and queue downloads the catalogue of media on their mobile phone so when they return home they can start the download on their computer. 1) What are the consumers willing to pay for? In a world where filesharing has made media practically free, what are consumers spending their money on? Why do they still purchase CDs and pay for itunes? 2) What are the legal issues surrounding filesharing in a country? The legal battles of filesharing are far from over at this point. However each country has adopted different views on it. When getting involved with filesharing, it is important to understand the legal stance of that country on it. 3) How will filesharing affect the market 20 years from now? With the changing views of filesharing, how will consumers behave 20 years from now? 4) How should Vodafone position itself? The market has changed quite considerably and there are various new opportunities as covered above to make profit. How will Vodafone position itself in the market? Should Vodafone remain detached from this and maintain neutrality or should it become involved? Cnet - A good guide to music subscription services. Michael Geist - On Napster, Youtube and filesharing. Harvard Gazette - On how filesharing may increase CD sales. Heritage Foundation - On how filesharing harms companies. Cnet's News.com - On filesharing and businesses. Filesharing accounts for a significant proportion of internet bandwidth and shows no signs of decreasing. Filesharing technology has improved since its beginning and can be divided into FTP, P2P and BitTorrent each with its own advantages and disadvantages. 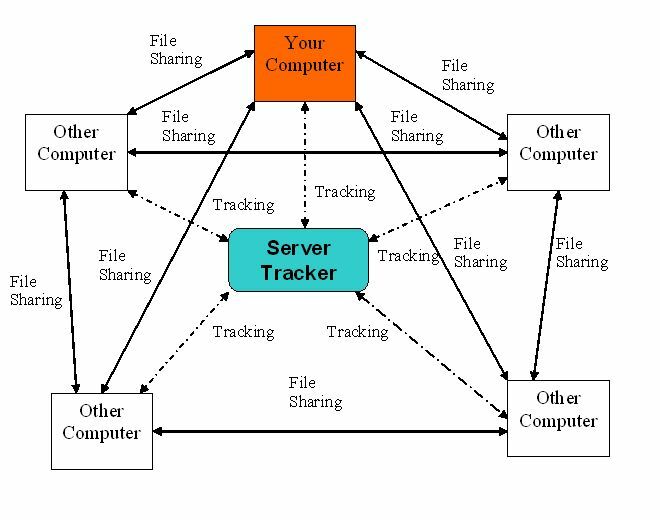 BitTorrent or swarm P2P is currently the main method of filesharing with the filesharers themselves bear the cost of filesharing. With the increasing ease in which media can be shared over the internet, traditional business models have become outdated and a new business model has emerged with a different set of concerns where the question is how to add value to a service to prompt consumers to pay for something. There are a number of ways to profit from this new market such as by offering limited trials, rental services and subscription based services similar to what is already being done with ringtones and games on Vodafone mobiles. However, as filesharing is a contentious issue, Vodafone must carefully consider the consequences of becoming involved in such an area. Here's a 10 minute presentation by Ashwin Navin on the history and relationship between BitTorrent, the internet and the entertainment industry.